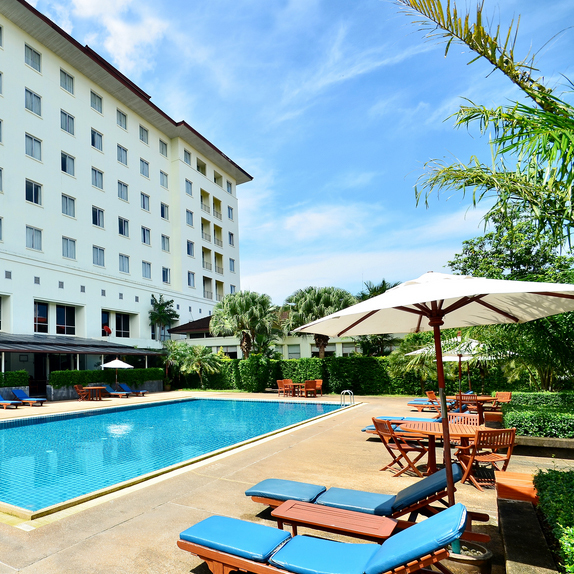 A four-star hotel with 138 rooms, located in the City District of Ranong Province, Tinidee Hotel Ranong is registered under the name of Supsinthanee Co., Ltd. and managed by MBK Hotel & Tourism Co., Ltd. The hotel highlights a natural mineral water pool and health spa, with mineral water being supplied to each room. The group of sales representatives in Ranong, Phuket and Chumporn.